I’m not always Mark Wahlberg‘s biggest fan and he has starred in his fair share of duff films – namely the Daddy’s Home movies – but Instant Family won me over completely. Guillermo del Toro‘s latest movie The Shape of Water has received rave reviews and so many awards nominations, so my expectations were pretty high – and it managed to exceed them. Guillermo del Toro‘s latest movie The Shape of Water received rave reviews after its debut at the Venice Film Festival and still has a 96% rating on Rotten Tomatoes so my expectations were pretty high – and it still managed to exceed them. I love Chris Evans as Captain America but the role hasn’t left him time to do much else so it’s great to finally see him do something completely different, even if he does get upstaged by his young co-star Mckenna Grace. I had been wanting to see Hidden Figures for some time because it seemed like the type of inspiring true story that’s up my street and it annoyed me that there was such a big gap between US and UK releases. As I expected, it was worth the wait and I absolutely loved it. The issue with the Divergent franchise is that it has always been far too similar, and not as good as, The Hunger Games, which also suffered a slump in its third movie because the final book was unnecessarily split into two films – an obvious money-spinning ploy which negatively impacts the momentum and energy of the movies. The Divergent series has never been amazing, but Allegiant is a new low that won’t even please fans of the novel. 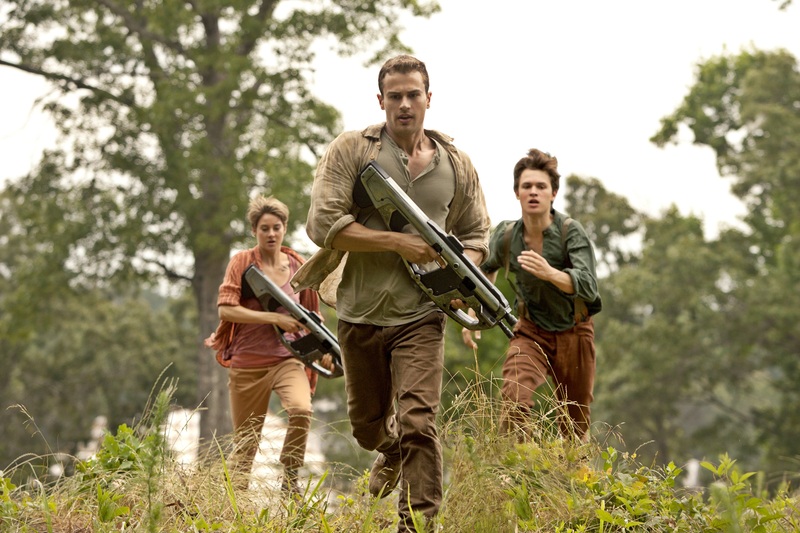 I have been bitching about the Divergent sequel Insurgent for ages because I was not impressed by the trailer and it seemed like a completely different film to the first one. It has a different feel and look, sure, as there is a new director (Robert Schwentke), but I liked it as much as, if it not more than, Divergent. I feel like the franchise has found its feet and this is a proper action movie.